As a contemporary artist dealing with violence, I interpret an invisible threat of war, a reality that I have seen and felt. I represent the madness of violence by creating visual works without words. The works convey interpretations of my concerns for the future. 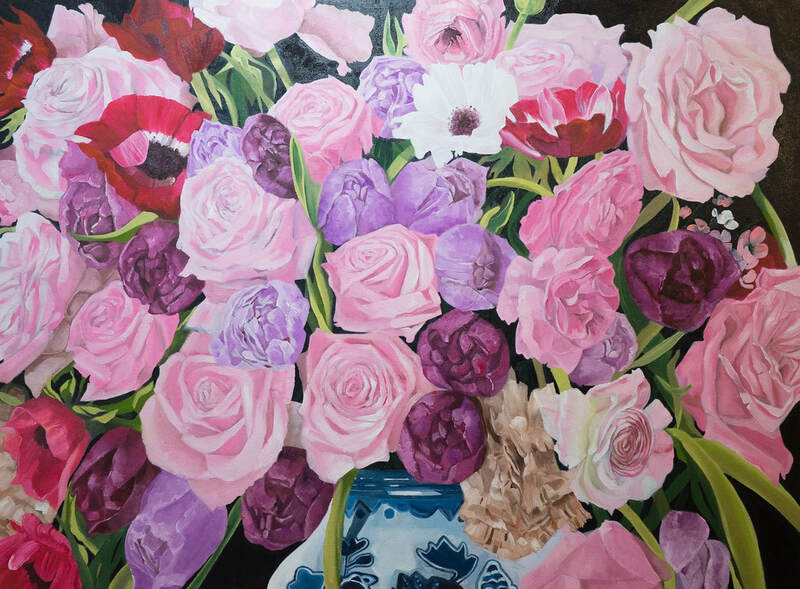 I feel calm when I paint flowers and believe the painting of flowers helps to stabilize my emotions and convey the most precious nature, which is love. Antonio Hyeok Lee was born in Busan, South Korea, the country’s second largest city. After living in Korea for a long time, Lee moved to Milan to study fine art at the Accademia di belle arti di Brera. His works have been exhibited in Korea, Milan, and Vancouver. Lee now lives and works in Port Moody, BC. He has previously exhibited at Silk Art Gallery with Peace, No More War, a solo exhibition highlighting themes of war and peace.